Samsung J series enthusiasts have something more to be excited about. Samsung has redesigned and upgraded Galaxy J2 that was launched in 2015. 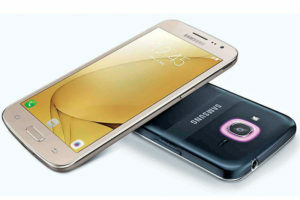 Samsung has launched Galaxy J2 2016 with two new technologies: Turbo Speed Technology and Smart Glow in the Nepali Market. Turbo speed Technology results superior device performance like loading of apps will be 40 percent faster. It enhances overall operating system. Smart Glow is a new generation LED notification system. This enables user to set notification light to know whereabouts of incoming call. The Smart Glow consists of an LED ring around the rear camera; customer can set color for the Smart Glow as per their requirements. Four alerts can be set with the Smart Glow. Galaxy J2 2016 is 4G enabled smart phone that features Ultra data saving mode that provides 50 percent mobile data savings locking unnecessary background consumption of data. It also has modern technologies like Ultra Power Saving, Selfie Assist and Quick Launch Apps. The new Galaxy J2 has upgraded selfie camera of 5MP from 2MP and primary camera of 8MP. It runs on the latest Android Marshmallow 6.0.1. It is powered by 1.5 GHz Quad Core Processor, 1.5 GB RAM, to ensure smoother multitasking. It has larger 2600 mAh battery that doesn’t require frequent charging. It is priced at Rs 15,900. Next How to protect privacy online?